We understand one size doesn’t fit all, so whether you prefer working out in the gym alone or within a group, we can show you how to make the most of your valuable exercise time. We can help you every step of the way and Ystradgynlais has everything for your whether you are a first time gym goer or you’re an experienced athlete. 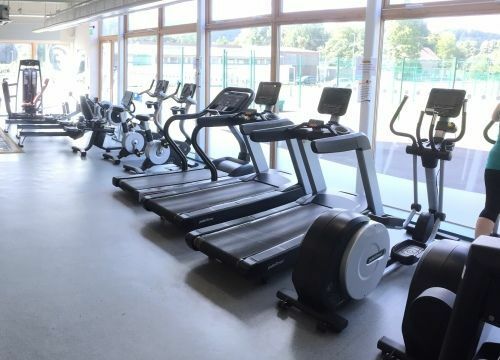 The 21 station fitness suite has a variety of equipment to work all areas of the body, to include cardio vascular and strength training equipment. All of the strength training machines in the fitness suite have the IFI (Inclusive Fitness Initiative) mark on them. The mark is given to the machines that are accessible to all. The IFI operate an accreditation scheme which recognises the achievements and commitment of leisure facilities who enable disabled people to become physically active. The accreditation provides and INCLUSIVE platform for disabled and non-disabled people to be active together. All the fitness equipment carries the above mark which makes the fitness suite here at Ystradgynlais accessible to all.